Relationships after Cuénoud et al. (2002). The core Caryophyllales clade has long been recognized; it corresponds generally to the Caryophyllales of recent classifications (e.g., Cronquist 1981; Cronquist and Thorne 1994; Takhtajan 1997). The core Caryophyllales (or Caryophyllales sensu Judd et al. 2002) comprise 19 families, although several currently recognized families are clearly poly- or paraphyletic and require recircumscription (Cuénoud et al. 2002). Characteristics shared by all members of the core Caryophyllales (= Caryophyllales sensu Judd et al. 2002) are unilacunar nodes, stems often with concentric rings of xylem and phloem or of vascular bundles, phloem sieve tubes with plastids with a peripheral ring of proteinaceous filaments and a central protein crystal (rather than the sieve tube plastids with starch grains of most other core eudicots). They have betalains (rather than anthocyanins, although anthocyanins are present in Caryophyllaceae and Molluginaceae, which seems to represent reversals), loss of the intron in the plastid gene rpl2, a single perianth whorl, “secondarily” free central to (primarily) basal placentation (Eckardt 1976), embryo curved around the seed, and presence of perisperm with scanty or no endosperm (per Judd et al. 2002). Within core Caryophyllales, most families exhibit multiple pollen morphologies, indicating that pollen structure is labile in this clade. Three basic types of pollen have been observed in core Caryophyllales: tricolpate, pantoporate, and pantocolpate, all with a spinulose and tubuliferous/punctate ektexine (Nowicke 1975). Within core Caryophyllales, Physena (Physenaceae) is sister to Asteropeia, and this pair is sister to all other core Caryophyllales. Asteropeia and Physena, with five and two species, respectively, all of which are restricted to Madagascar, have been difficult to place taxonomically. Within the remaining core Caryophyllales, three major clades are well supported. The first comprises Caryophyllaceae (86 genera, 2,200 species; mostly with a temperate distribution), Achatocarpaceae (3 genera, 7 species; western North America to South America), and Amaranthaceae (including Chenopodiaceae; 174 genera, 2,050 species; warm temperate and subtropical regions) form a clade, with the last two as sisters. A second clade within core Caryophyllales consists of Basellaceae (4 genera, 20 species; pantropical), Didiereaceae (4 genera, 11 species; Madagascar), Portulacaceae (32 genera, 385 species; cosmopolitan), Cactaceae (100 genera, 1,500 species, mostly New World deserts), and Halophytaceae (monospecific; Argentina). This succulent group largely corresponds to the “portulacaceous alliance” of Hershkovitz (1993), the suborder Portulacinae of Cronquist and Thorne (1994), or the “portulacaceous cohort” of Applequist and Wallace (2001) and reflects relationships long recognized, such as that between Basellaceae and Portulacaceae (e.g., Franz 1908; Bogle 1969; Sperling and Bittrich 1993) and Cactaceae and Didiereaceae or Portulacaceae (Chorinsky 1931; Gibson and Nobel 1986). The monophyly of this group was previously supported by plastid DNA sequence data (e.g., Rettig et al. 1992; Downie et al. 1997), and phylogenetic analyses of both morphology (Hershkovitz 1993) and ITS sequences (Hershkovitz and Zimmer 1997) indicated that Basellaceae, Cactaceae, and Didiereaceae are all embedded in Portulacaceae. A third clade within core Caryophyllales is composed of Aizoaceae (125 genera, 2,020 species; mostly warm southern Africa and Australia) and Nyctaginaceae (30 genera, 395 species; pantropical)—each of which is monophyletic—and Phytolaccaceae (18 genera, 65 species; pantropical to warm temperate) and its segregates. Within this clade, Phytolaccaceae are polyphyletic (with an additional lineage outside this clade), and several segregate families are recommended by Cuénoud et al. (2002): Agdestidaceae (monospecific; warm Americas; not recognized by APG II), Petiveriaceae (monospecific; warm Americas; not recognized by APG II), Barbeuiaceae (monospecific; Madagascar), and Sarcobataceae (monogeneric, two species; southwestern North America; segregated from Chenopodiaceae but clearly within this clade). Molluginaceae (13 genera, 120 species; pantropical and warm temperate) are also polyphyletic, and the precise relationships of these lineages are not clear. Gisekiaceae (monogeneric, 7 species; Africa, central and eastern Asia) have been segregated from Molluginaceae and appear closely related to Petiveriaceae (Cuénoud et al. 2002). Stegnosperma (3 species from Central America and the Antilles; Stegnospermataceae or Stegnospermaceae; Nakai 1942) is sister to this clade in the rbcL plus matK tree (Cuénoud et al. 2002). Stegnosperma was segregated from Phytolaccaceae, in which it was originally placed, by Nakai (1942). It has since been viewed as a monogeneric family found to be more similar to Caryophyllaceae than to Phytolaccaceae (Hofmann 1977; Bedell 1980). Despite extensive study from many perspectives for several decades, relationships and patterns of evolution within core Caryophyllales are not entirely clear. In addition, several new families have been proposed to accommodate the placement of single genera or small groups of genera as sister to larger clades. Angiosperm Phylogeny Group (APG II). 2003. An update of the Angiosperm Phylogeny Group classification for the orders and families of flowering plants: APG II. Botanical Journal of the Linnean Society 141:399-436. Applequist, W. L. and R. S. Wallace. 2001. Phylogeny of the portulacaceus cohort based on ndhF sequence data. Systematic Botany 26: 406-419. Bedell. H. G. 1980. A taxonomic and morphological re-evaluation of the Stegnospermaceae (Caryophyllales). Systematic Botany 5: 419-431. Bogle, A. L. 1969. 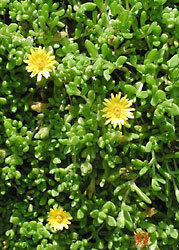 The genera of Portulacaceae and Basellaceae in the southeastern United States. Journal of the Arnold Arboretum 50: 566-598. Chorinsky. F. 1931. Vergleichende morphologishe Untersuchungen der Haargebilde bei Portulacaceae und Cactaceae. Österreichische Botanische Zeitschift 80: 308-327. Cronquist, A. and R. F. Thorne. 1994. Nomenclatural and taxonomic history. In: H.-D. Behnke and T. J. Mabry [eds. ], Caryophyllales: Evolution and Systematics 87-121. Springer, Berlin. Cuènoud, P., Savolainen, V. Chatrou, L. W., Grayer, P. M., R. J., and M. Chase. 2002. Molecular phylogenetics of Caryophyllales based on nuclear 18S rDNA and plastid rbcL, atpB, and matK DNA sequences. Amerian Journal of Botany 89: 132-144. Dahlgren, R. 1975. The distribution of characters within an angiosperm system. I. Some embryological characters. Botaniska Notiser 128: 181-197. Downie, S. R., Katz-Downie, D. S. and K. Cho. 1997. Relationships in the Caryophyllales as suggested by phylogenetic analyses of partial chloroplast DNA ORF2280 homolg sequences. American Journal of Botany 84. Eckardt, T. 1976. Classical morphological features of centrospermous families. Plant Systematics and Evolution 126: 525. Franz, E. 1908. Beiträge zur Kenntnis der Portulacaceen und Basellaceen. Botanische Jahrbücher für Systematik 97: 1-46. Gibson. A. C. and P. S. Nobel. 1986. The Cactus Primer. Harvard University Press, Cambridge, Ma. Hershkovitz. M. A. 1993. Revised circumscriptions and subgeneric taxonomies of Calandrinia and Montiopsis (Portulacaceae) with notes on phylogeny of the Portulacaceous alliance. Annals of the Missouri Botanical Garden 80: 333-365. Hershkovitz, M. A. and E. A. Zimmer. 1997. 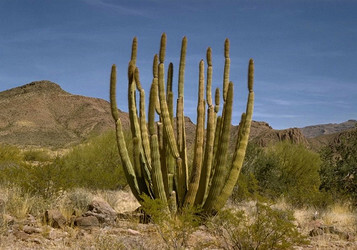 On the evolutionary origins of the cacti. Taxon 46: 217-232. Hoffman, U. 1977. Die Stellung von Stegnosperma innerhalb der Centrospermen. Berichte der Deutschen Botanischen Gesellschaft 90: 39-52. Nakai, T. 1942. Notulae ad plantas. Asiae orientalis. XVIII. Journal of Japanese Botany 18: 91-120. Nowicke, J. W. 1975. Pollen morphology in the order Centrospermae. Grana 15: 51-77. Retting, J. H., Wilson, H. D. and J. M. Manhart. 1992. Phylogeny of the Caryophyllales--Gene sequence data. Taxon 41: 201-209. Sperling, C. R. and V. Bittrich. 1993. Basellaceae. In: K. Kubitzki, J. G. Rohwer, and V. Bittrich [eds. ], The Families and Genera of Vascular Plants II, 143-146. Springer-Verlag, Berlin. Takhtajan. A. 1997. 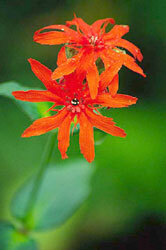 Diversity and classification of flowering plants. Columbia University Press, New York. Page: Tree of Life core Caryophyllales. Caryophyllales sensu stricto. Authored by Pam Soltis, Doug Soltis, and Monica Arakaki. The TEXT of this page is licensed under the Creative Commons Attribution License - Version 3.0. Note that images and other media featured on this page are each governed by their own license, and they may or may not be available for reuse. Click on an image or a media link to access the media data window, which provides the relevant licensing information. For the general terms and conditions of ToL material reuse and redistribution, please see the Tree of Life Copyright Policies.